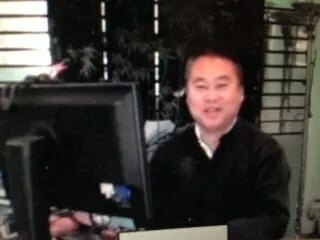 For nearly three years, I had the pleasure of working with Dr. Henry Han in his clinic in Santa Barbara. With his training in both eastern and western medicine, open mind and innovative spirit, his treatments were unlike any others. He truly believed healing was always possible. His knowledge of Chinese herbs allowed him to create remedies to help with catastrophic disease and those who had given up hope. People struggling with chronic pain were given herbs that diminished or eliminated symptoms. Most traditional western medical doctors welcomed him as part of their team–an honor given to few alternative practitioners in Santa Barbara. Many are reeling from the tragedy of his murder–and the loss of his wife, Jennie, and daughter, Emily. I want to honor his memory and carry on his legacy by sharing what I learned from this extraordinary doctor. Colon therapy and cleansing is often ignored by Chinese medical practitioners and acupuncturists. It is not rooted in the origins of Chinese medicine, the way colon cleansing is included other healing traditions. Surprisingly, Dr. Henry Han sent me clients, which he did even before I was part of his clinic. At first, he sent only those with obvious bowel obstructions. After getting to know my work, he selected clients he felt would benefit from colon therapy, and gently guided them in my direction. As these patients were often seriously ill, it took great trust for them to follow through on his recommendation. When we discovered that cancer patients received enormous relief with colonics during the course of chemotherapy, Dr. Han championed this addition to their protocol. Dr. Han used colon therapy treatments himself before his colonoscopy; and lobbied for all his patients to do the same. To go far outside one’s training and conditioning, and integrate new healing modalities is something Henry Han lived and modeled. Dr. Han was a master herbalist, and his Santa Barbara Herb Clinic is stocked with hundreds of dried herbs. He did not rely on bottled prescriptions to treat his patients. Few herbalists enjoy the breadth of knowledge that Dr. Han embraced. He constantly created new formulas based on what worked and what might work even better. He was confident, but humble. As his patients will tell you, if he prescribed a formula that was not quite right, he would work with you for the desired result. He was fascinated with researching CBD (compound found in medical cannabis) and believed it to be of great benefit in many areas of medicine. Dr. Han was willing to say “I don’t know.” Then he would research an answer. Few doctors with his credentials would ever utter that phrase. Talking calmly to patients long after the workday had completed was common practice, since he understood healing as a complex journey. He would listen and record symptoms, talk through treatment plans and recommend a solution that satisfied both doctor and patient. Dr. Henry Han also collaborated generously with all doctors. This was a time-consuming task that involved teaching the medical community about Chinese herbs. His stellar relationship with local oncologists stemmed from his willingness to be an educator as well as a doctor. No one will ever replace Dr. Henry Han. But we can carry on his healing legacy by embracing the qualities he modeled and trusting the body to heal. And we can use the medicines found in nature to assist in that healing.